The wonderful charm of the cliffs. French town located south of Corsica, on the Strait of the "Bocche" that separates them from Sardinia, which is just 12 kilometers. 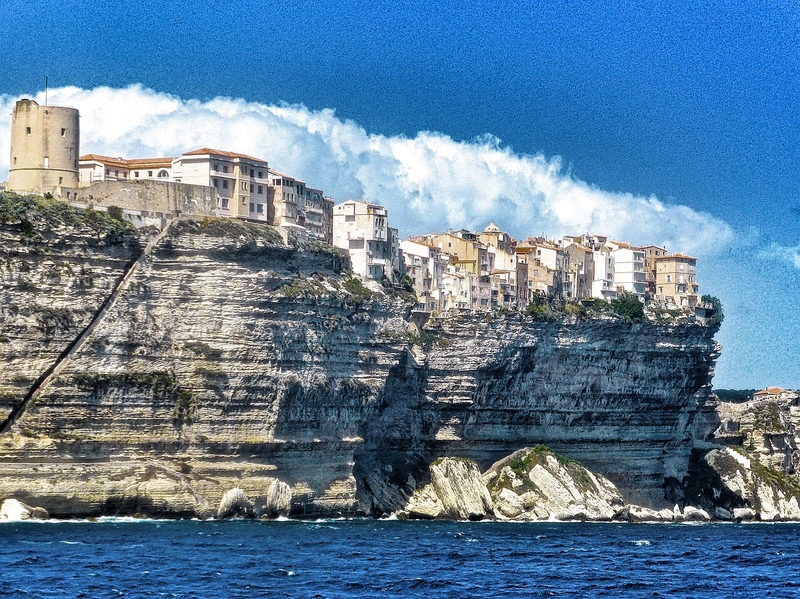 Bonifacio is a town to discover, perfectly integrated with its wonderful limestone cliffs overlooking the sea that represent an incredible is wonderful scenery, really beautiful and evocative. Its splendid Citadel, the beautiful Ste-Marie-Majeure, and all its surroundings to discover: the sea caves, theLavezzi archipelago o Capo Pertusato; the city where the most ancient Ligurian dialect was spoken, that is the "bunifazin", that you could still hear today! The airport of Figari-Sud Corse, one of the four present in Corsica, is located in the south of the island, about 25 kilometers from the city and 20 from Porto Vecchio. Despite the presence of the island's longest runway, for passenger traffic, it is the third of Corsica. Flights throughout the main French cities are guaranteed all year round. Air traffic, of course, increases at the same time as the arrival of summer. For all the info on the airport and the direct connections, you can consult our special page, available at this link. At the airport you can rent a car, or use a taxi to get to the city. Who, however, wanted to use only public transport, must necessarily arrive in Porto Vecchio. Corsica Bus, the island's road transport company, is working to reactivate the shuttle from Figari, for Bonifacio, stop the 1 September 2014. At the moment, from Figari Sud Corse, only the shuttle to the town of Porto Vecchio is active. The bus operates daily, except Sundays and public holidays. 4 daily trips are guaranteed. The ticket costs 4,00 € and can be purchased directly on board the vehicle. The bus takes about 30 minutes to reach the Porto Vecchio train station. From here, by bus, you can reach Bonifacio. For all information, you can refer to the official Corsica Bus link, directly from this link. The Port of the city is located within the fjord and is mainly tourist, however, here, daily ships arrive from Santa Teresa di Gallura, in Corsica. The only company operating from Sardinia, takes just under an hour to travel from one bank to another. Porto Vecchio, is the nearest town, and has a port where ships from Marseilles and Toulon dock.